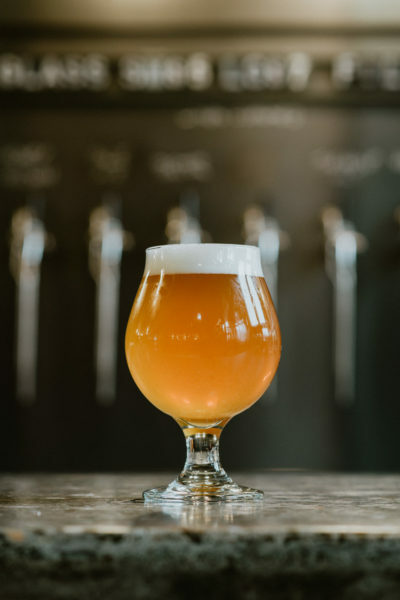 Oaked Saison – East Vancouver Brewing Co.
Tasting Notes: Fermented with our House yeast putting a Nordic spin on the style with a sweet floral and funky aroma. Some herbal sweetness from the malt and some peppery notes from the yeast. Medium bodied with a semi-dry finish. After fermentation and conditioning, some of this beer was put into the squarrel with 12 straight staves of heavy toast oak which stripped a bit of the yeast character, adding a rounded smoothness and some light vanillin notes (sweet oak) to the aroma and mouthfeel.